CN Railway train derailed near Gogoma, Ontario, March 7, 2015. 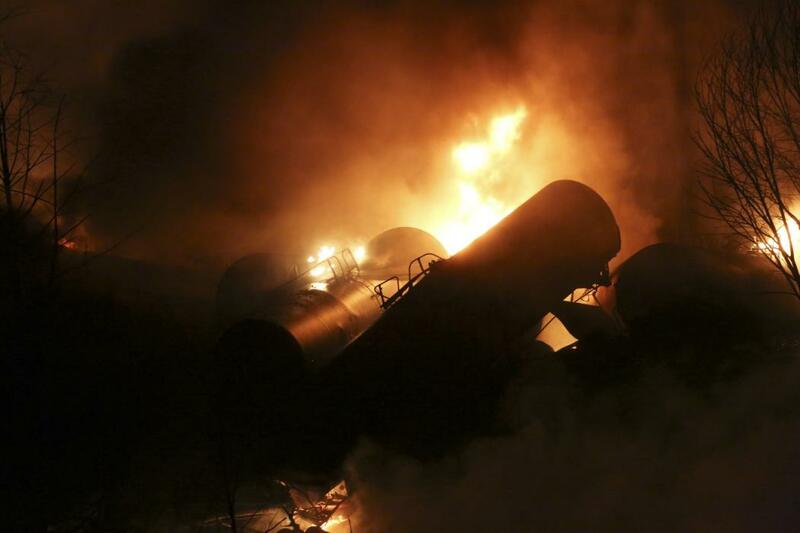 Several cars have caught fire after a Canadian National Railway train carrying crude oil derailed in northern Ontario, prompting officials to advise nearby residents to stay indoors and avoid consuming water from local sources. 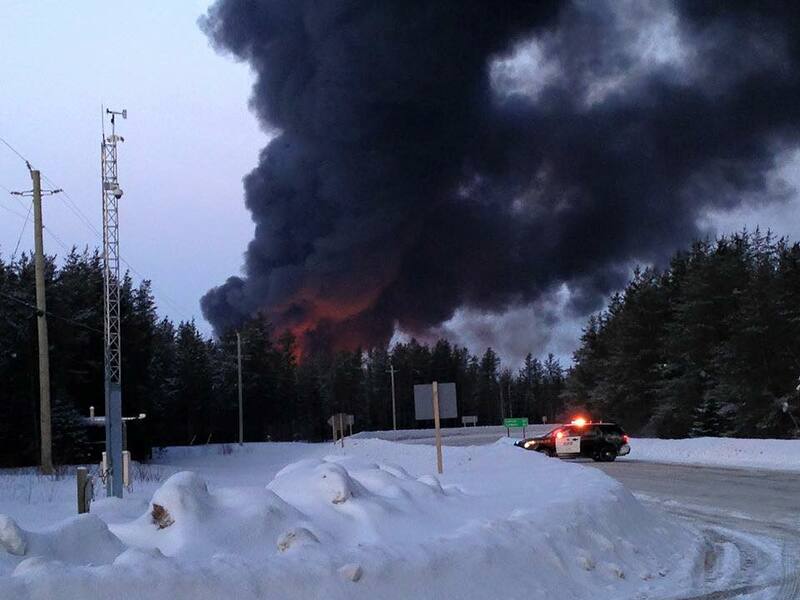 CN rail cars carrying oil derailed on Feb 14, 2015 near the community of Mattagami First Nation in northern Ontario. 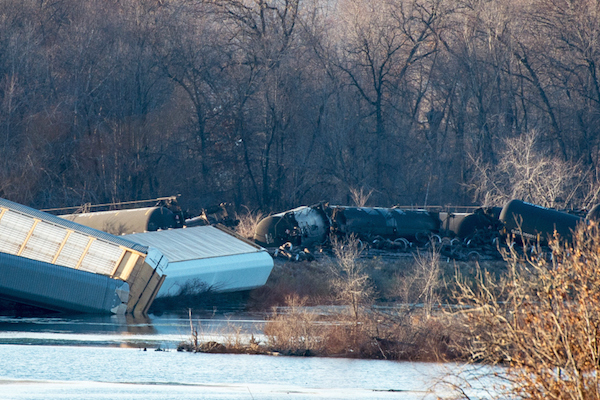 Cleanup continues at the site of a CN train derailment northwest of Gogama, Ont. Mattagami First Nation is sounding the alarm about a CN rail spill near the community. 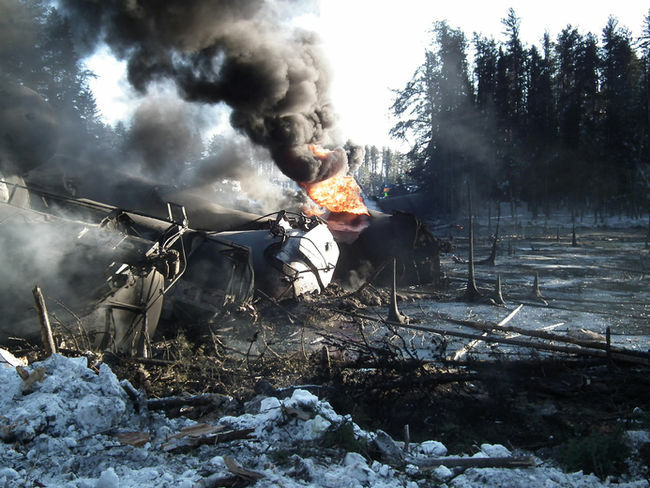 The First Nation said Saturday’s derailment involving 29 crude oil tankers occurred on its traditional territory, located 40 kilometres north of the community. MOUNT CARBON, W.Va. — A day after a train carrying three million gallons of crude oil derailed in West Virginia, firefighters are still waiting for the flames to die out — and a community is in turmoil. Investigators finally got closer to the crash scene on Tuesday.